I am a fan of creating to-do lists and trackers. And Google Sheets is my weapon of choice. 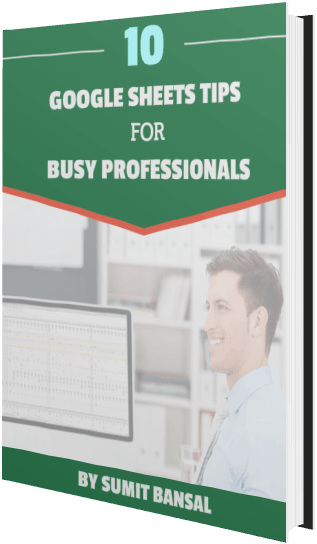 Since I have created a lot of these lists and trackers, I decided to merge all my trackers into one single Google Sheets document and then use this master tracker instead. And to do this, I had to copy sheets from multiple Google Sheets into one single Google Sheets document. While it’s not complicated, it took me a few minutes to figure it out. So I thought I will share it with you all (in case you want to get this done yourself). 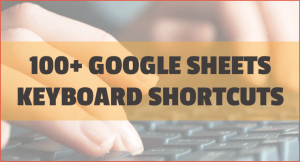 Open the Google Sheets document from which you want to copy the sheet. So these would be different trackers (lists) that I want to combine. 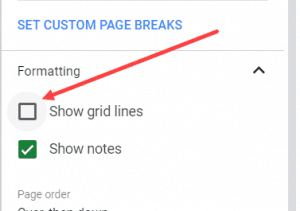 Right-click on the sheet that you want to move to another master tracker Google Sheets document. Click on ‘Copy to..’ option. In the dialog box that opens, you need to select the Google Sheets in which you want the sheet to be copied. This Google Sheets document could be in your own Google Drive or the one that is shared with you (with edit rights). 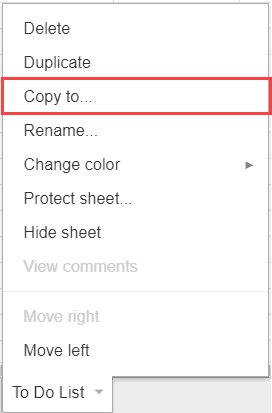 Once the Google Sheets in which you want to copy the sheets is selected, click on Select. You will see a prompt that will tell you that the sheet has been copied. You can also open the target Google Sheets document, which now has the copied sheet. Note that when the sheet is copied, it still remains in the source worksheet. A copy of the sheet is created in the target document. 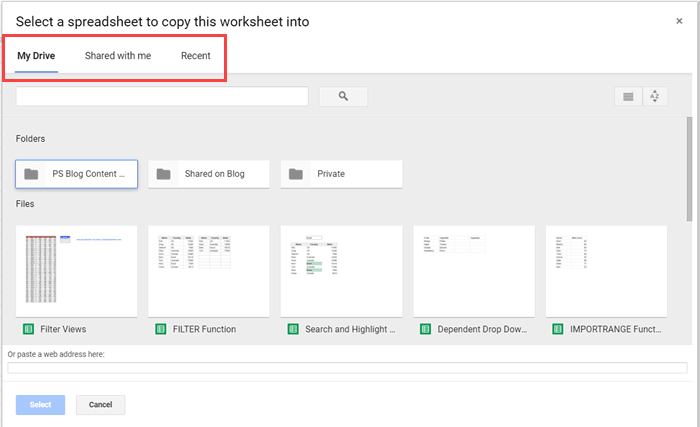 In case you have the link to the Google Sheets in which you want to copy the sheet, you can simply enter the link at the bottom of the dialog box (step 4 above), and then click Select. 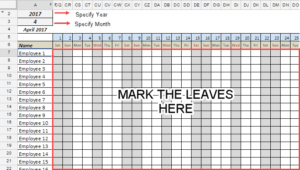 How to Convert Excel to Google Sheets (a Step-by-Step Tutorial). 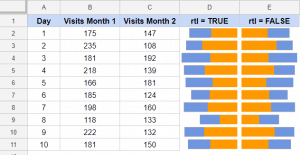 How to Fill Down in Google Sheets Using Fill Handle.